Mike Ragogna: JY, how does it feel to be a repeat offender on the show and HuffPo? James "J.Y." Young: Well, sometimes it sounds so nice, you have to do it twice. MR: (laughs) Okay, let's chat about your new DVD, The Grand Illusion / Pieces Of Eight Live. What inspired you guys to celebrate this period with a live series of concerts and DVD release? JY: Well, it was a concert promoter along with our manager that hatched up the idea of us doing this. Rush had just done a two-hour show where they put their 2112 album in the middle of it, so other people were doing it as well. It was just our notion to try to mix it up and give people a little instead of giving the traditional "playing the hits" thing that we do. When we toured with Journey in 2003, they had a giant video screen and we were able to start creating content to actually go along with some of this music. As the years have gone by, we've gone through different screens and visuals as things begin to get less expensive and it gets easier to make it all happen. In this, there's some incredible content behind the band on the video screen and we had sort of a mini-Pink Floyd version in terms of the visuals. We were able to create visuals that resonate with the emotions and feel of the music. All of that is combined with the fact that there are about three or four songs on here that we'd never performed live, and there are tons of songs on here that we hadn't performed in decades. It was an interesting experience. I was actually a bit lukewarm on the idea when it was first brought up, but everyone else seemed to warm up to it. I've been wrong about things in the past, and I find that there can be a certain wisdom found in group decisions. We needed to do something different anyway, and the response we got just about knocked me over. People were raving about the show. Recently, we were number two on Amazon.com in the musical DVDs category right behind Adele's live DVD. It was definitely worth the effort. MR: This was recorded at the world famous Orpheum Theater in Memphis. Did it add a different vibe to the show to be playing these albums in this venue? JY: Well, I think there's always something majestic about a beautiful old proscenium theater. There's a sense of history about it and an energy from everything else that's taken place on that stage, particularly in a place like Memphis. Memphis has such a big rock, soul, and blues music heritage. There was a great energy there that day, and the venue certainly contributed to that. We're very pleased with the results. MR: Can you share a few of your musical influences for some of our readers who may not already know? MR: Nice. What kind of guitar are you playing these days? JY: I'm still very much a Stratocaster man. I've got a lot of personal modification that I've done to my own personal Strats. I've played all kinds of guitars, but the Fender Stratocaster is my guy. MR: What guitars showed up on The Grand Illusion and Pieces Of Eight albums when they were first released? Same guitar...Strats? JY: When we recorded both of those records, I did almost all of it on Fender Stratocasters. I was the second owner of a '65 Strat that I took possession of in about 1967--that was thanks to Jimi Hendrix's influence. After that time frame, I went to play other guitars, but the Fender '65 was my child, and that's still the one I grab when I go into the studio. MR: Did you guys consider The Grand Illusion and Pieces Of Eight to be concept albums when they were first released or is that how everyone labeled them later? JY: Certainly, The Grand Illusion was. Pieces Of Eight didn't nearly have the thread running through it that the other did because that one was an inspired topic that was conceived by my former colleague Dennis DeYoung. The band was able to rise to the occasion, and I think that's what made The Grand Illusion our best-selling record by millions of albums. MR: Do you ever wonder why those albums did so well? JY: I sort of look at that as the Baby Boomer generation coming into its own. They all had money and jobs now and they wanted music of their own. When I say "they," I also mean "me" because I was a part of all of that. The Grand Illusion was the seventh album for Styx, so it took a long time and a member change for us to have the skill set, ability, and mindset to make that particular album. There's not a bad song on there, and I don't think that can be said for too many records. Of course, there are only seven actual songs on the album, then "The Grand Finale," which is kind of the reprise of some of the themes in some of the other songs. It's our best record and out biggest seller, so it made obvious sense for it to be a part of this DVD. "Renegade" and "Come Sail Away" are easily our two biggest songs, and they're both on The Grand Illusion, so it just made sense to do those for the live DVD. Our manager even told us he did a poll on the website...I don't know if he actually did it or how scientific it was, but ultimately, we decided that these two albums were the best choices. It was an amazing time. MR: Another memorable song from Pieces Of Eight was "Blue Collar Man." Can you tell us about that song? JY: The true irony and amazing things about some of those songs is that they were inspired by real life. My friend Tommy Shaw wrote that song about a friend of his who had just lost his job. He was starting to feel the shame of being unemployed and he was having a hard time standing in the unemployment line. We pride ourselves on the ability to go out and make ourselves valuable and get a job, but when there are no jobs to get, it's a very hard thing to deal with. That was going on then and, unfortunately, it's been going on in this country for a number of years now. Everything old is sadly new again in that aspect. The relevance of things written 30 years ago is uncanny. The title track, "Pieces Of Eight," was a song that we hadn't played since around '79, but it resonates so much with what's currently going on that it's scary. Europe is in financial crisis, we've had a rough 10 or 12 years, and even Japan has been going through a deflationary depression. They were the second largest economy on the planet, though I think China has overtaken them. It's just tough out there in the world and there are very greedy people who have made things too unscrupulously big that they have no choice but to fail. But that's a whole other story. (laughs) The true irony is that art does seem to go in and out of fashion. Some songs seem to have profound meaning based on recent events. That's what happened with some of the songs on Pieces Of Eight. MR: I wanted to comment quickly on something you said, and mention that with the economic climate being what it is here, a lot of Americans either forget or are unaware that these problems are happening all over the world. Do you have any further thoughts on that? JY: Well, there was a Russian who did a study in the '30s during The Great Depression to see if there was a cyclical nature to these types of problems. He determined that there was a sort of worldwide depression every 50 or so years, and that it could be characterized by the idea of the expansion of debt followed by the cycle of the reputation of that debt. So, we are profoundly indebted, as is almost every other nation. My home state of Illinois is the second most indebted state following California. There's debt everywhere and that's not healthy. What we've ineffectively done is borrowed against the future. This didn't need to happen, but it's human nature and it's a part of life on planet earth. I was actually expecting this 20 years earlier than it happened, and I think we managed to remove the safeguards to prevent this from actually happening when we repealed The Glass-Steagall Act in 1999. People who forget the lessons and mistakes of history are doomed to repeat them. MR: Yeah, the famous saying. JY, what do you think needs to be done so that we can get out of this mess? MR: (laughs) JY, let's get back to the DVD. What were the crowds like for the shows you preformed while recording it? JY: Well, you can never know how people will react. Eric Clapton once said when he was interviewed by Martin Scorsese for a piece that he did on George Harrison and he said that when it all came together and worked in the group, it was magical. But when that wasn't the case and they were disagreeing about everything, it became this ugly hellish thing. I think whenever you have a group of people that have to work together that closely there are bound to be moments of intense joy and moments of furious fighting and great emotional difficulty. MR: There are so many songs in the Styx catalog would you mind going into a little story about a handful of them, starting with, let's say, "Grand Illusion"? JY: That was the phenomenal title track to the Dennis DeYoung concept album that we did. The music sounds like you would expect a song by that title to sound, and we open pretty much every show with it. It's a great song. JY: That's a song of escapism at a time when the likes of Star Wars and Close Encounters Of The Third Kind were coming out in the '70 and early '80s. Escapism to the open seas became escapism to the open skies. It's a song of hope and it's great. It's also, obviously, one of our two biggest hits. MR: "Fooling Yourself (The Angry Young Man)"? JY: It's an inspirational song to many, many people. Dave Kreig, who set many records as a quarterback for the Seattle Seahawks, has become a personal friend of mine. He used to play that song to inspire him before he went out on to the football field both in college and as a professional football player. It's a very inspirational song and it makes you feel like, no matter what has happened, you still have the chance to get back on your feet again. MR: Which naturally leads us into "Renegade." JY: Right. (laughs) A Tommy Shaw song that was kind of inspired by an Alan Parsons song, a very dark song called, "The Raven." We didn't know exactly how it was going to turn out, but I thought we needed a big arena rock anthem at the time instead of a sort of complex symphonic sonata that went on. So, one day, I asked Tommy to let me lay all of these heavy guitars to it and see what it does to the song. Then, next day, he came in and he loved it. The rest is rock 'n' roll history. JY: That's just an incredible song by Tommy Shaw that really captured the angst of a friend of his who was in the unemployment line. Unfortunately, that song is more relevant today than we would like it to be. MR: Yeah. And one of my personal favorites, "Sing For The Day." JY: That song shows the softer side of Tommy. He comes from Montgomery, Alabama, and played all sorts of music when he first started. He's kind of an r&b guy, but he's able to play just about any style of music. "Sing For The Day" is just a really great acoustic piece. Tommy is an amazing acoustic guitar player. He could play circles around me. The song just has a great sweet voice that sort of celebrates the beauty of being alive and wants you to find the joy in each day. MR: And finally, sir, "Great White Hope." JY: Dennis DeYoung actually suggested the title of that song to me. I could see that it had potential because it was a crazy thing from history. Jack Johnson was, of course, the heavyweight champion at the time and the number of people that they put up against him were the great white hopes, but no one could beat this young African-American man. That has, for the most part, been the case in the heavyweight boxing ring ever since. The crazy thing about that song was that I kind of wrote the fact that no matter how much you succeed, there's always someone to contend with. After that, I ran into Bill Wennington who was a center on one of the Michael Jordan Bulls teams, and he came up to me and said that that song was one of his favorites. MR: I also wanted to talk with you about your Regeneration project, can you tell us a little about that? JY: Well...to go back and go through the effort of trying to recapture magic that we had already captured once seemed daunting. We were sort of forced to, though, because there was a lot of pressure to get into the gaming platforms Guitar Hero and Rock Band. They wanted to work from the original multi-track masters so that all of the individual instruments were on different tracks. But, of course, no one could find the original multi-track masters from our Pieces of Eight album. So, we were forced to go back in a re-record this stuff. But once we did it, we realized that it gives the new lineup a chance to shine and be a part of this thing. It was worth it. So, we just kind of took off from those two gaming platforms and kept going with it. Personally, I feel that my original lead vocal on "Miss America" was a one take thing, and I feel like I did much better on it 30 years later. "Snowblind" and "Queen Of Spades" had good guitar solos on the originals, but I feel like I went in and beat those guitar solos this time around. MR: How's your brother Tommy Shaw these days? JY: The blonde leading the blonde? We call ourselves "The Alpha Dog Tag Team." He is doing phenomenally well. He put out a bluegrass album this past year that he recorded with Alison Krauss in Nashville. He's a big admirer of hers and vice-versa. They got some of the best players around and wrote some bluegrass songs. It didn't really get the kind of traction he'd hoped for, but he really had fun making it. We're all out having the time of our lives with our favorite rock band. MR: Very nice. JY, do you have any advice that you would like to share with new artists? JY: There's a football player on The Patriots named Danny Woodhead. This guy's like 5'9", but he's tough as nails, he can run fast, and he's hard for a big guy to get a hold of. That guy was in the Super Bowl when everyone around him said that he was too small and too slow. But he's smart, savvy, and tough. In order to be a musician in the current industry, you have to be that tough. It's all about patience, persistence, talent, luck, and capital. You've got to believe in yourself and be willing to go out of your way to find the pathway of opportunity, it's not going to come by your door if you're just sitting there waiting for it. There's a line from the movie Shawshank Redemption that goes, "Get busy living or get busy dying." You've got to get busy living! MR: I vaguely remember you being a fan of solar-power. JY: I am. In 1983, I donated about $75,000 to a company called The Center for Renewable Resources. They created something called Solar Jenny 1, which powered a bunch of concerts around Southern California. We even recorded one track in our studio in Chicago using Solar Jenny 1. MR: Sweet. Are you guys touring again this year? JY: We have other things lined-up now. We only did The Grand Illusion / Pieces Of Eight Tour east of the Mississippi, so there's a whole lot of God's green earth west of the Mississippi that we still have yet to visit. We will get there eventually. MR: Anything else coming up with you guys in the future? JY: Well...we just got out of doing all of the re-recordings and everything for the DVD, but we also have a lot of writing ahead of us. We'll eventually get around to doing it. MR: JY, thank you so much for taking time to chat with us. JY: Thanks so much for having me. 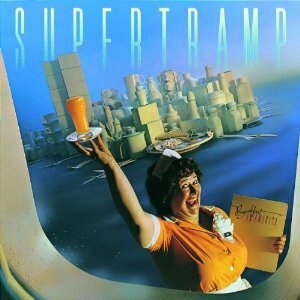 Mike Ragogna: Roger, it's obvious that Breakfast in America is one of the classic albums of the seventies. Do you see that it has a significance, topically, in 2012? 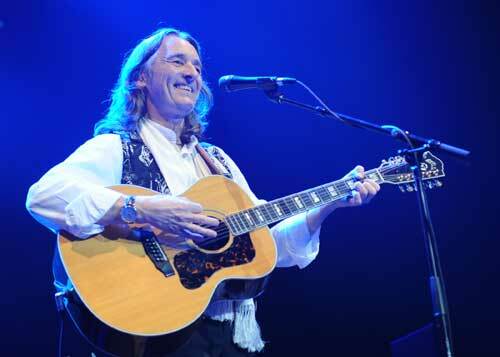 Roger Hodgson: From the multi-generations that I'm seeing in audiences around the world and what I still hear on the radio in every country, Breakfast in America and especially the songs I wrote--"The Logical Song," "Breakfast in America," "Take the Long Way Home," "Lord is it Mine?" and "Child of Vision" have stood the test of time incredibly well and when I play them onstage, they still sound as fresh and relevant today as when I wrote them. My shows don't feel like nostalgia shows. There is something very wonderful that happens--they are almost like a celebration of life and, obviously, the songs and what they are about and the part they've played in people's lives has a lot to do with it. MR: Breakfast in America seemed like a giant shoutout to the States. How would you describe the theme of the album? RH: We had been living in America for quite a few years by the time we recorded Breakfast in America, and the California lifestyle had rubbed off on us. For me, it was always about choosing the strongest combination of songs from what Rick Davies had written and from the large pool of songs that I always had in my arsenal. We didn't set out to make any kind of album, the songs just fell into place like they did. I wrote "The Logical Song" on the previous tour and it suited the band, Rick came up with "Goodbye Stranger." I wrote "Take the Long Way Home" just before we went into the studio. Breakfast in America had been around for 12 years--I wrote it when I was 18 in England dreaming of coming to America, and it felt like it fit with the mood of the other songs. So even though it was hard work (the album took eight months to complete), I knew the collection of songs was strong and we had to get it right and I ended up sleeping at the studio for the last month to make sure of that. MR: How did the album's success affect the group at the time, and did it play into how you recorded and toured afterward? RH: I always say the greatest test of a band is success, and we were no different. Success came slowly for us--over a period of six albums and almost a decade. The success of Breakfast..., plus the fact that we all started having families created competing priorities and competing dynamics between the band members and our wives, and things started becoming more complicated. I have always tried to follow my heart and my instincts in life and that's why I chose to move from away from Los Angeles, away from the music scene at the peak of Supertramp's success in 1983 to stay at home and be with my children growing up and learn how to be a father. I believe that my time away from the music industry is the reason why I'm still enjoying touring now and feel I'm in my prime. MR: Can you go into how you created "The Logical Song"? RH: "The Logical Song" was a very personal lyric for me. I had actually finished the words and the arrangement six months before I proposed it to the band for the album--I didn't think anyone would like it. Interestingly enough, this song won the prestigious Ivor Novello award and has the distinction of being one of the most quoted lyrics in schools. This song was born from the questions that haunted me about what is the deeper meaning of life. Throughout childhood, we are told and taught so many things, and yet we are rarely told anything about the purpose of life. We are taught how to function outwardly, but are rarely guided to explore and find out who we are inwardly. From the innocence and wonder of childhood to the confusion of adolescence that often ends in the cynicism and disillusionment of adulthood, so many end their lives having no idea of who they truly are and what they came here to learn. In "The Logical Song," I ask the fundamental question that is so present in the psyche of today's modern world but rarely spoken out loud--who are we and what is our true purpose of being here? And that is why I believe it continues to strike a chord in people around the world. I'm continually told how the lyric is often used and discussed in schools, which tells you something. MR: So you're on the road on your Breakfast In America tour, reminding audiences about a very significant album. When you play live, do you try to replicate as close to the original studio recordings as possible or do you expand on the arrangements? RH: I was the main arranger in Supertramp and had a hand in all the parts, even the bass and drums. Most of the songs stay pretty true to these arrangements because I like them--they work well. MR: Overall, what is the creative process for Supertramp? RH: Although the writers credit always said the songs were written jointly, Rick Davies and I actually always wrote and composed separately, similar to Lennon and McCartney. I have to be alone when I write--it's a very personal process for me. I let the music take me and whatever is going on inside me, in my heart or in my emotions, goes into the inspiration I get from the sound of the instrument I'm playing. It's a magical process, one that I stumbled into when I was younger--getting out of your mind and getting out of the way to allow magic and inspiration to happen. After that, I always made a demo, capturing all the ideas I heard in my head. And then, back in the Supertramp days, I would bring the demo to the band. MR: Crime of the Century was your breakthrough concept album, and the song "School" resonated with our culture's youth and was probably what "broke" the band in America. Can you go into the song a little, it's creation and history? RH: I've always had strong feelings about school and education and what is lacking in it, so yes, "School" was very much some of my thoughts about my school experience and was obviously the beginning of what we intended to be a concept album, Crime of the Century. 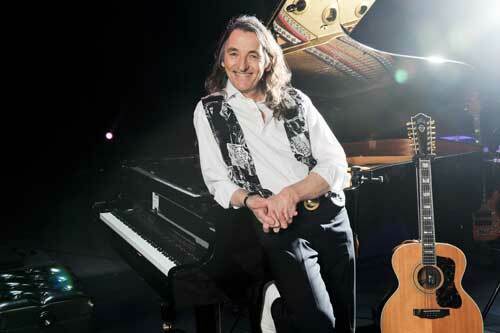 "The Logical Song continues the thought, "...then they sent me away to teach me how to be sensible...."
MR: Do you notice younger or newer fans relating to Supertramp in the way your original fans did? Might they be hearing different things in the band's music than the older generations? RH: Thirty years later, I am amazed at how these songs have stood the test of time. I could not have imagined when I was a young man striving to express my heart in music and song, how so many years later, these songs would endure and become a meaningful part of so many people's lives. At my concerts, it's amazing to see three generations singing along with me. A few years ago, Gym Class Heroes had a worldwide hit with my song, "Breakfast in America," which they adapted into a rap version called "Cupid's Chokehold." Before that, the Goo Goo Dolls had a number one hit with their cover of "Give a Little Bit," and before that, Scooter had a smash hit with his techno version of "The Logical Song," so it's amazing how these songs have lasted and are touching many different genres and age-groups. MR: What's your advice for new artists? RH: Follow your heart and stay true to your self. Learn your craft so it becomes second nature and then go deep inside and express the deepest emotions and dreams of your heart and soul. MR: Thanks very much for your time, Roger. RH: Thank you Mike, I hope to see you at one of my upcoming shows here in the US. The latest tour schedule is on the website and we're continuing to add shows, many of which are not announced yet but will be soon.